When Pastor Evan Mawarire, founder of the #ThisFlag movement, walked free from the Harare High Court on 29 November having been acquitted on charges of trying to overthrow President Robert Mugabe, there was both cheering and laughter. The latest political dramas have not robbed Zimbabweans of their legendary sense of humour. 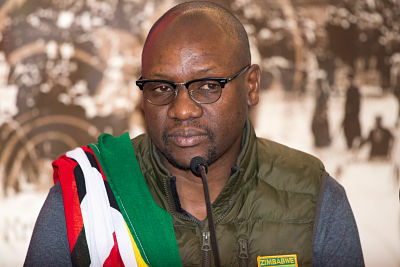 Mawarire won mass support through a social media campaign to make his compatriots proud of their national flag again despite the years of political and economic turmoil. African and Western ambivalence about military interventions in politics were drawn into sharp focus this week by arguments over whether Zimbabwe's Robert Mugabe had been ousted by a coup and a revival of claims that France had backed a coup against Thomas Sankara, the popular leader of Burkina Faso, in 1987. The Mugabe military conundrum has immediate resonance as his successor, Emmerson Mnangagwa, tries to convince international finance agencies and their Western shareholders that he came to power constitutionally, despite outward appearances. Alpha Condé, Guinea's President and current chair of the African Union, asked some awkward questions, which could have proved disastrous for Mnangagwa and his allies. If the AU had classified Mugabe's exit as a coup, that would have triggered Zimbabwe's suspension from the organisation, perhaps even sanctions. But far from rushing to label the Mnangagwa succession as a coup, Asian and European governments, including Britain, have endorsed the new government's rise to power as innovative political management, even down to the organisation of mass protests against Mugabe. France's President Emmanuel Macron was reminded of the complexities of coup politics when he chose to make a speech in Ouagadougou 30 years after Blaise Compaoré overthrew Sankara's government. He offered to open his government's secret files on the case. That could set a powerful precedent.